There are many mysteries contained in the following story. For instance, it is not known how long the body had been lying there before someone saw it on June 22, 1944. People would later state that they had noticed the man stretched out on North Alpine Road as early as 7:00 a.m. But no one reported it to police until 11:45 when Ed Belin finally called the body in. The others would claim they thought the man was drunk and sleeping it off beside the road. Police did not even know if Ed was the only one to touch the body after it was dumped. The coroner said that the condition of the body indicated that it had been moved at least once several hours after death. The man’s body was lying face down in a ditch on the west side of Alpine road. It was obvious to the first responders that the man was deceased. He had a large hole in the side of his head and his clothes were soaked in blood. His pockets had been turned out as if someone had gone through them looking for something. When they turned the man over, they discovered an exit wound. Though there was no wallet, the authorities did find a engraved pen and pencil set with the name Henry J. Lacks etched on the front. They were grateful for a place to start their investigation. It wasn’t long before they found a car registered to Henry J. Lacks on Crosby Street just a couple of blocks down from his parent’s house. They also found Henry’s wife, Agnes. 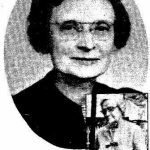 Agnes was known to police because she had been married to Deputy Sheriff Sam Rotello before he was killed while on duty in 1936. Agnes and Henry had been married since May 1939. She had no idea how Henry had ended up dead in a ditch. Agnes told them that Henry always wore a diamond and sapphire ring. It was missing though his watch was still on him. Agnes stated that Henry had feared for his life since early June, though she could offer no reason for this. As their investigation continued the mysteries about Henry deepened. Henry’s main job appeared to be as an insurance salesman, a job he worked for over 25 years. He also worked at a war plant or at least he had until June 7 when he failed to show up for work. He never even returned to collect his paycheck. Henry also worked at the Nylint Tool Company and was an accomplished pianist. The police initially arrested Henry’s wife, though it was mentioned that this was possibly done as a way to convince Agnes to talk. It was obvious something had spooked Henry and they thought that maybe Agnes knew what it was. Agnes was reluctant to share their personal matters with the police. The couple had a rather unorthodox marriage. Henry spent most nights at his parent’s house on Crosby Street. Agnes went out with other couples to parties. That’s where she had been the night Henry was killed. Henry told her he had appointments and wouldn’t be home until late. Agnes assumed he was dining out with an insurance client. Agnes had Henry drop her off at a friend’s house where she stayed for a party. After the party, friends took her out for coffee and she accepted a ride home from a woman that shared the couple’s apartment at around 4:00 a.m. When they arrived at home, she saw a man who she assumed was her husband walk across the porch and enter a car that resembled Henry’s. The man drove away and that was the last time she ever saw her husband. Police didn’t think the man that Agnes saw was Henry. They knew his car was parked on Crosby Street before 4:00 a.m. The coroner put his death before that time as well. The police leaned on Agnes hard, giving her two polygraph tests. They thought she knew more than she was telling them. Agnes finally revealed that when she went into the apartment on the morning that Henry died, the place had been ransacked. Obviously, someone was looking for something. But she knew they didn’t find it. Henry kept all of their important papers and jewelry in his safe deposit box at the bank. As police worked the case they developed several theories about Henry’s death. The first angle they developed focused on Henry’s home country. Henry had been born in Germany in 1900 and moved to the United States in 1910. According to his co-workers, Henry really admired Hitler and his regime. This was a dangerous time to be spouting that philosophy. In fact, one of the men that Henry met on the last day of his life was actually an undercover F.B.I. agent. It seems the government wanted to know just how much Henry admired Hitler. Police wondered if Henry’s willingness to spread his ideas about Hitler drew the wrong attention. The other theory that the police worked dealt with the gambling that was prevalent in Rockford during this time. Different gangs were running card games and even horse betting. The police knew that Henry spent a lot of time in the night clubs. They questioned co-workers, the few friends that Henry had, and even family members about Henry’s gambling. They checked into his accounts, and using the tip from Agnes, they searched his safe deposit box. Authorities were surprised to learn that Henry didn’t gamble at all. In fact, it was Agnes that spent time at the poker tables. She lost big and Henry scrambled to cover what she owed. But Henry had finally had enough. According to his family, Henry went to the gambling dens and threatened the owners that unless they stopped taking money from his wife, he would tell everything he knew to the police. But Henry left no evidence of what he might have known. He had cleaned out the safe deposit box and his bank account. If he had any hard evidence to share with the police, it was never found. 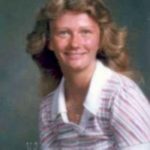 Henry J. Lack’s murder was never solved. 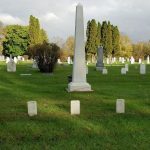 His family buried him in St. Mary’s Cemetery and by August 1944, Agnes left Rockford. Stories put her in California but researched has failed to find her there. The local newspapers compared Henry’s murder to the 1937 unsolved murder of bookie operator, Charles Kolb and ran articles on the anniversary until 1959 when those too stopped. Gambling in Rockford was curbed because of Henry’s death, at least for a while. Slot machines were confiscated and poker games were stopped or at least better hidden. But the investigators never found the solution they searched for and the mystery of who killed Henry J. Lacks was never solved.